Stevia is an herb that is naturally sweet, and it has been used in South and Central America as a sweetener for hundreds of years. Stevia is an attractive alternative to sugar because it has no calories and doesn't cause a person's blood sugar to spike. If you have diabetes, check with your doctor about whether stevia is safe for you. Can You Use Stevia to Bake? 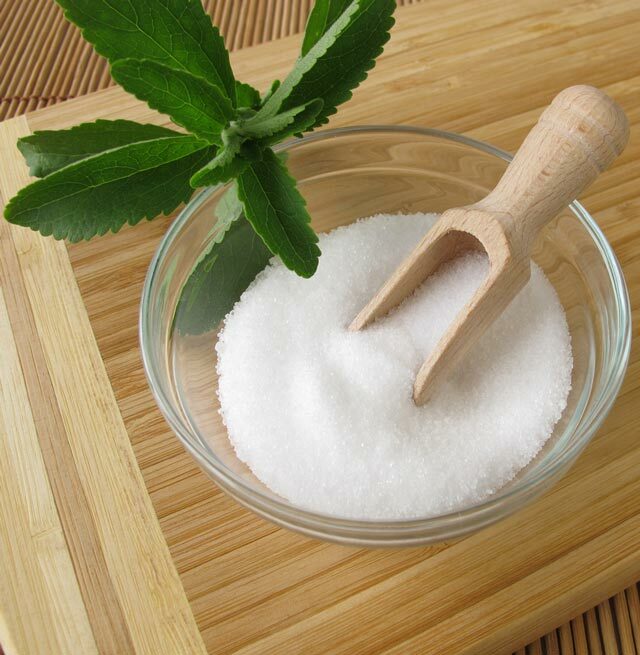 Stevia is approximately 270 times sweeter than sugar, so it can't be substituted at a 1:1 ratio. It is stable at high temperatures which means that you can bake with it. However, it might act differently than sugar in some recipes, so it takes some experimentation to get what you're after. When you first begin baking with stevia, it is a good idea to follow recipes that are already "tried and true." That way, you will get the desired results and begin to get a feel for how stevia works in baking. Take a look at these recipes: Stevia Recipes. You will need to add bulk. Since you will be using less stevia than sugar, you will need to add more bulk to a recipe that calls for sugar when you use stevia instead. For every cup of sugar you replace with stevia, use 1/3 cup of a filler such as applesauce, yogurt, or water. Too much stevia may create a bitter aftertaste. Some people like to combat this by using a mixture of stevia and another sweetener like honey to replace the sugar in their baking recipes, but you may not find this to be a problem. You can also experiment with different amounts of stevia to get the right amount of sweetness for you without any aftertaste. Here is a general chart you can use as a starting point for converting the sugar in your recipes to various forms of stevia: Stevia Conversion Chart.